The Wista Field cameras are a range of straightforward wooden-bodied field cameras made in Japan by Wista. They are made from cherry or rosewood, and there is one ebony model. The standard camera is the 45DX. 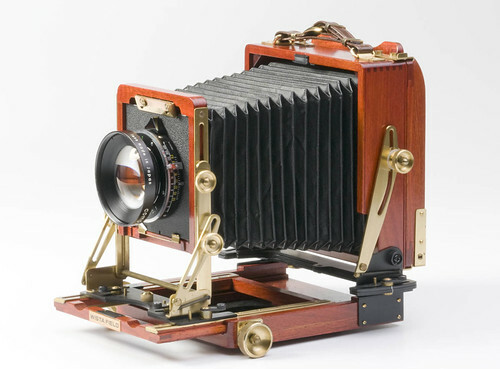 It is a double-extension camera, allowing lenses between 47mm and 300 mm with the standard lensboard and bellows. As is usual for a field camera, the front standard allows considerable camera movements; 35 mm of rise and 30 mm of fall, 40 mm of shift, tilt (40° degrees forward, 30° backward) and swing (12° each way). There are also rear tilt, shift and swing. 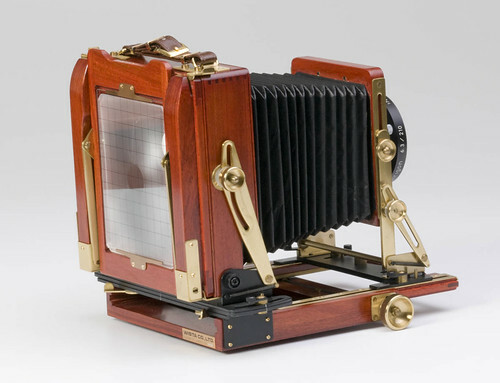 The camera has a revolving back and a fresnel focusing screen. It is made in cherry, rose or ebony wood, with brass metal parts. It weighs about 2 kg. There is a simplified model, the 45-II. This is very similar, but does not have rear shift (it has the other rear movements; the camera illustrated is a 45-II). One model, the 45SW has interchangeable bellows, allowing the use of extension bellows for long lenses or very close focus. 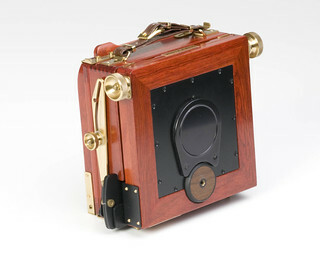 The Wista website lists this camera only in Rosewood. 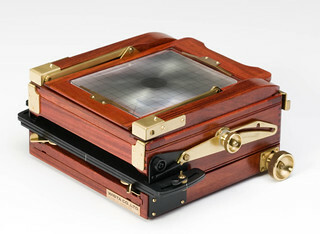 There is also one 8x10-inch camera, shown only in cherry wood, with no details. ↑ 1.0 1.1 Wista cameras (English-language version) at the Wista website. ↑ That is, 300 mm normal lenses; longer-focus telephoto lenses can be used. This page was last edited on 14 November 2013, at 18:39.